Designed with the clinician in mind to focus more on the patient and less on the administrative burden. Using it out of the box is very favorable, but when adding customization it may add to the risk of glitches. Lots of tricks and robust features, but will need time to discover and master them. See above for NextGen Reviews. If you are a user of NextGen Ambulatory EHR, we want to hear from you. Do you like NextGen? Is it easy to use? How is the support? Learn more about NextGen EHR. HOW IS NEXTGEN DIFFERENT FROM OTHER EHRS? NextGen EHR was developed keeping the clinician top of mind. By taking the administration burden away and letting clinician’s focus more of their time with patients, one of NextGen’s greatest differentiators is its ability to help make the clinician be more efficient and productive. Practices can select to use NextGen’s clearinghouse services, revenue cycle management and/or patient engagement. With financial services and practice management available, NextGen is a popular choice. CAN NEXTGEN HELP TRANSFORM YOUR AMBULATORY PRACTICE? NextGen’s population health and analytics services are designed to allow practices to take action using data-driven insights. When medical practices use data analytics to drive their strategy, they can expect better outcomes. 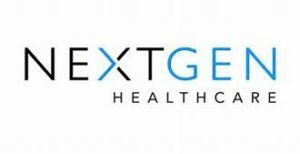 DOES NEXTGEN OFFER PRACTICE MANAGEMENT SOLUTIONS? DOES NEXTGEN OFFER BILLING SOLUTIONS? Information provided by nextgen.com and crowd sourced.